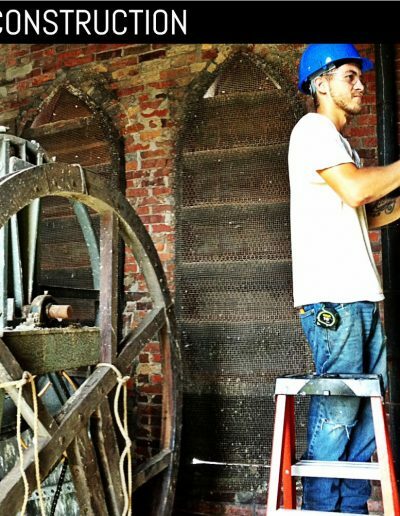 Shutter Revolution isn’t your average, run of the mill factory that only makes specific items. 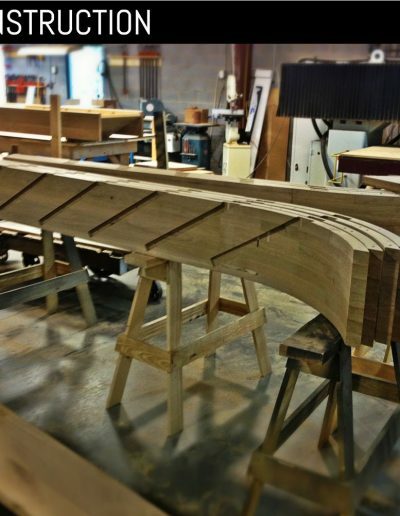 We are a union of artisans that craft elaborate creations for just about any project. 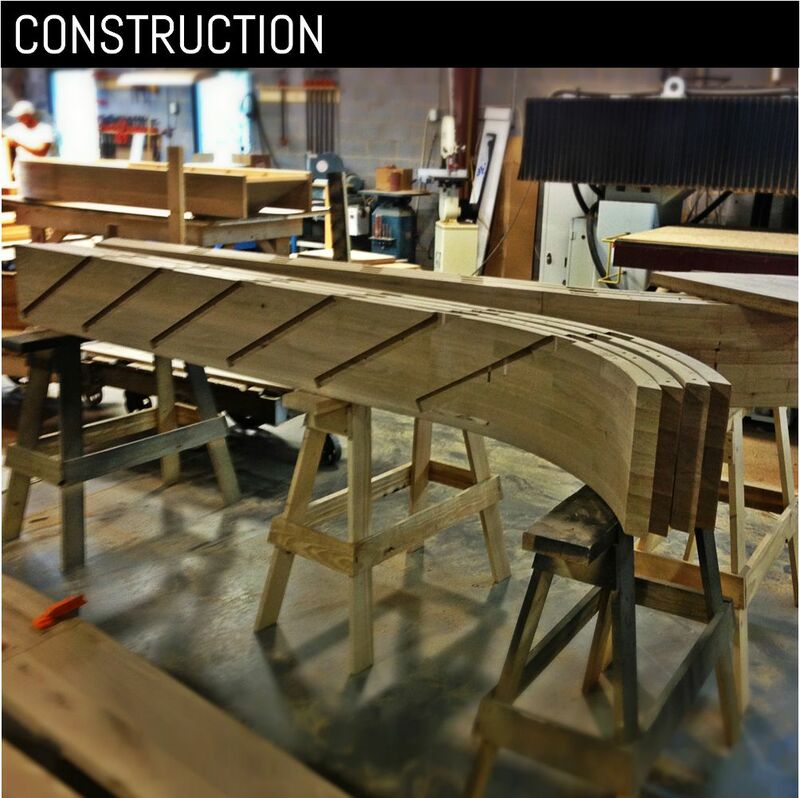 Below is just one of the many custom projects that we have accomplished. 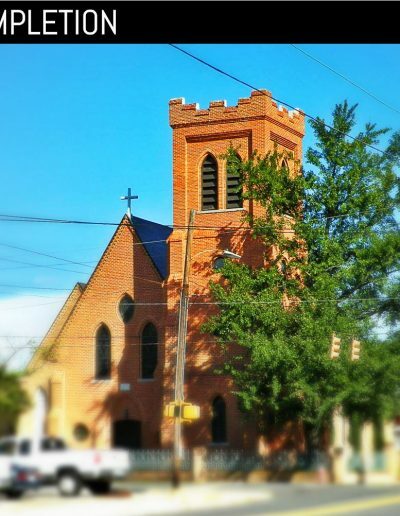 The Saint Stephens Episcopal Church was founded in 1856 and moved into their beautiful church in 1857! 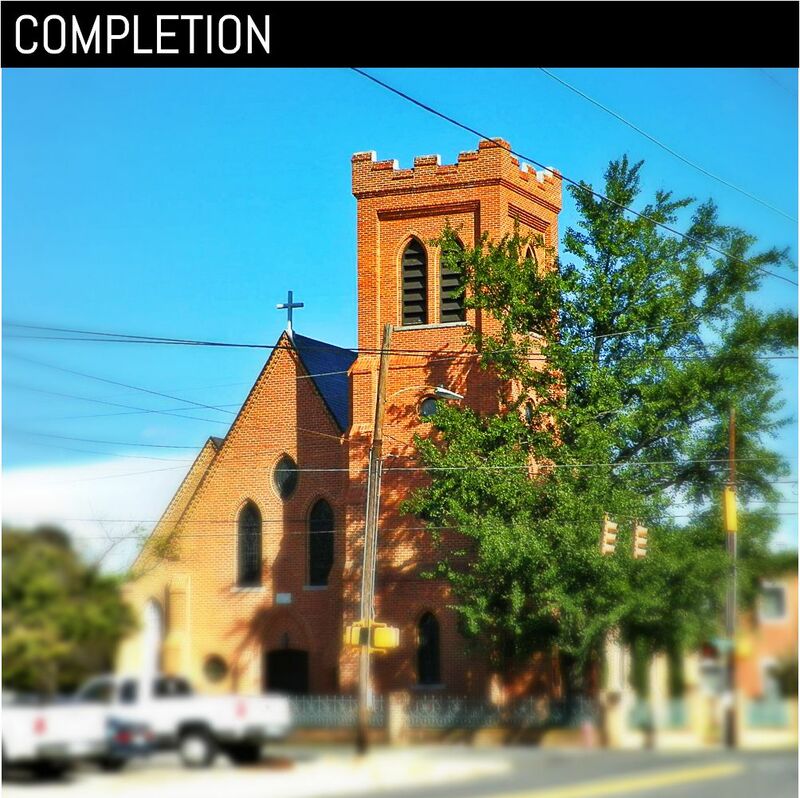 This historic church has been a staple of Goldsboro, NC for over 170 years! 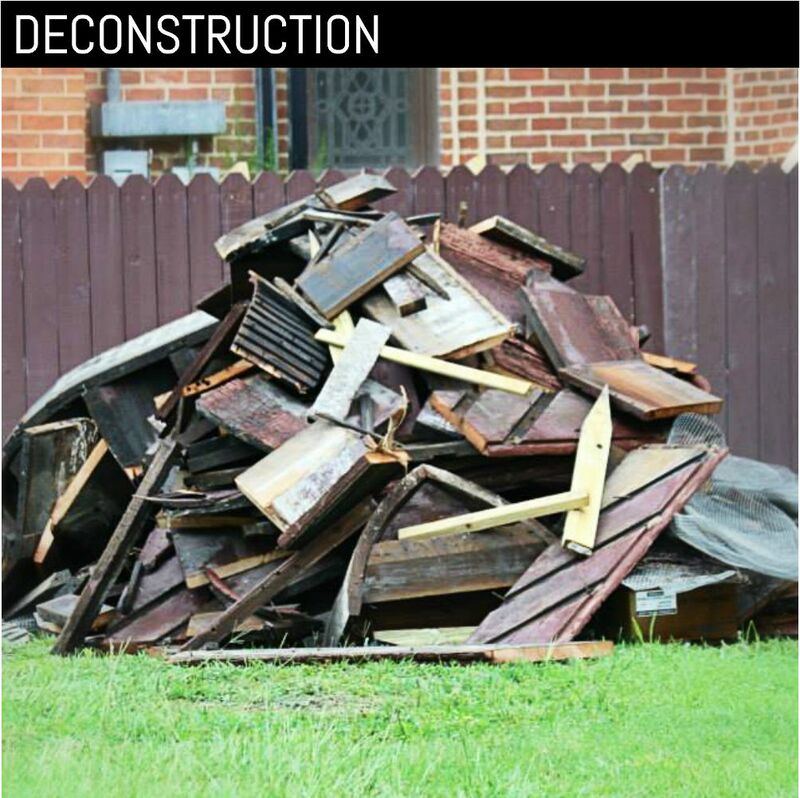 As with any building with such advanced age there comes a time that parts of the building fall into disrepair and require reconditioning or replacement. 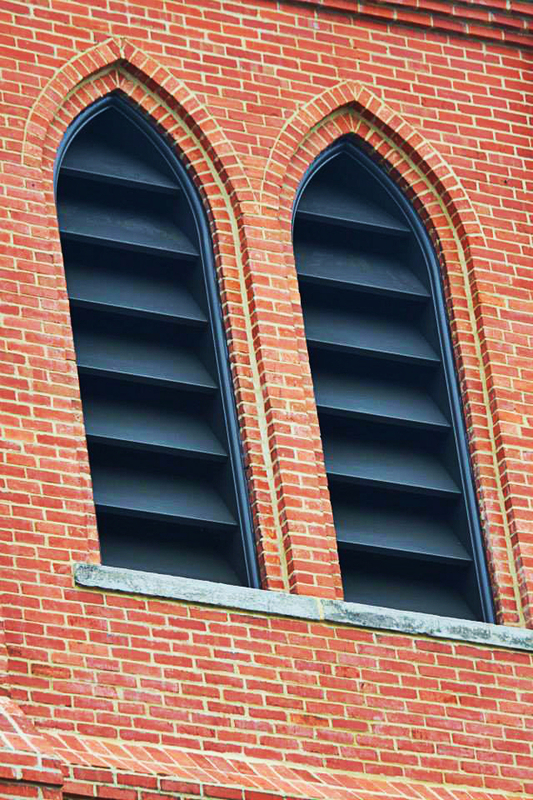 This was the case for the louvered shutters that adorned all four sides of the bell tower. 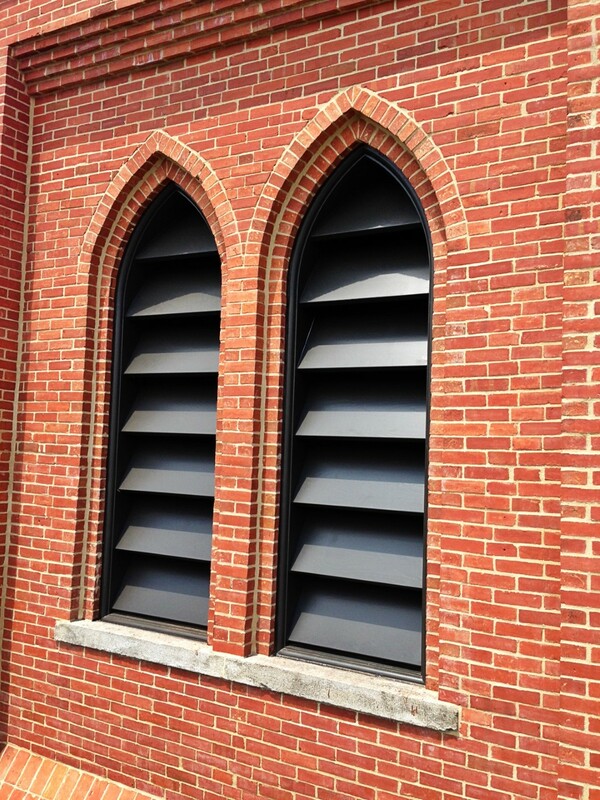 The louvered shutters had degraded to the point where the church staff feared they would fall out. 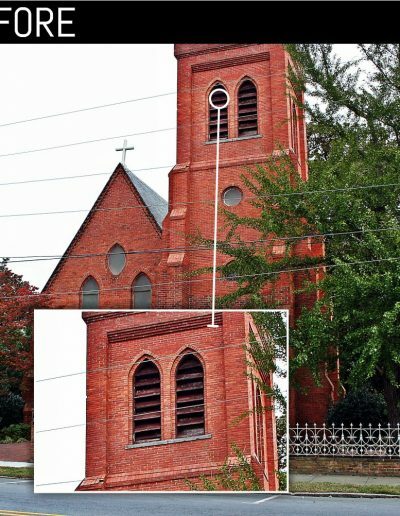 This possible scenario was made worse by the fact that one of the shutter sets was precariously positioned over a door into the church. 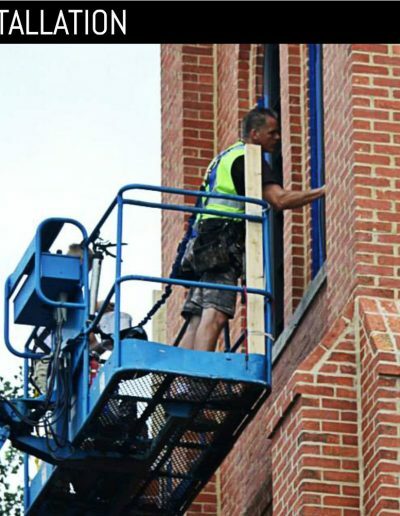 This gave the church the motivation it needed to seek out a quality shutter company that could effectively recreate the historic shutters and work within the complexities the job would require. 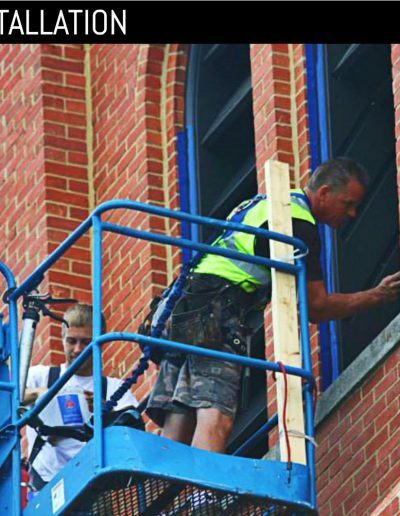 The only company they knew they could trust with historic shutter replacement was Shutter Revolution! 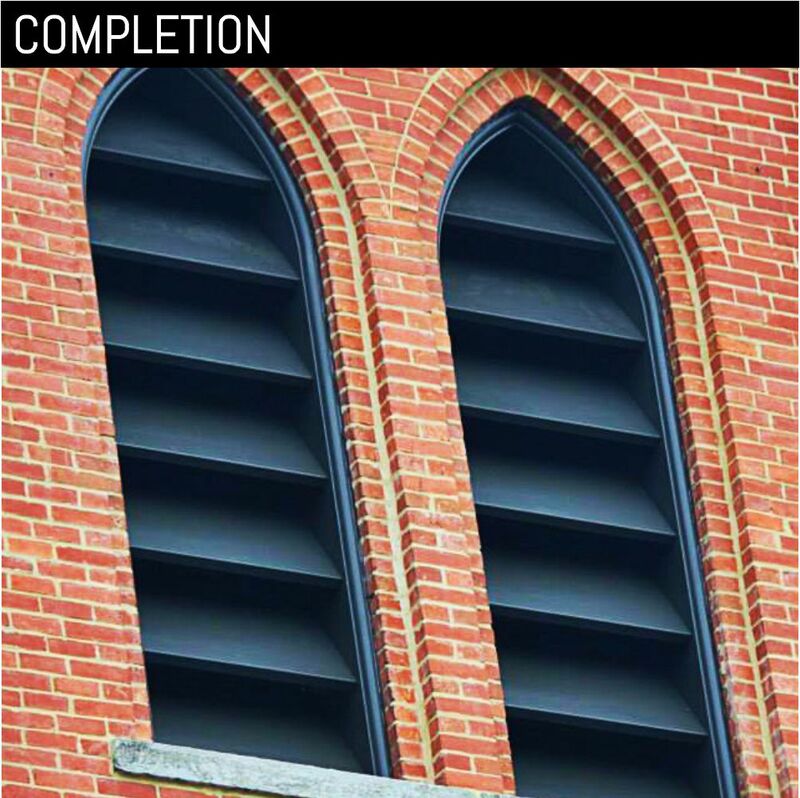 When we arrived at St. Stephens Episcopal Church in Goldsboro, NC we quickly saw the exterior, louvered shutters were in very bad shape and needed historic shutter replacement immediately. 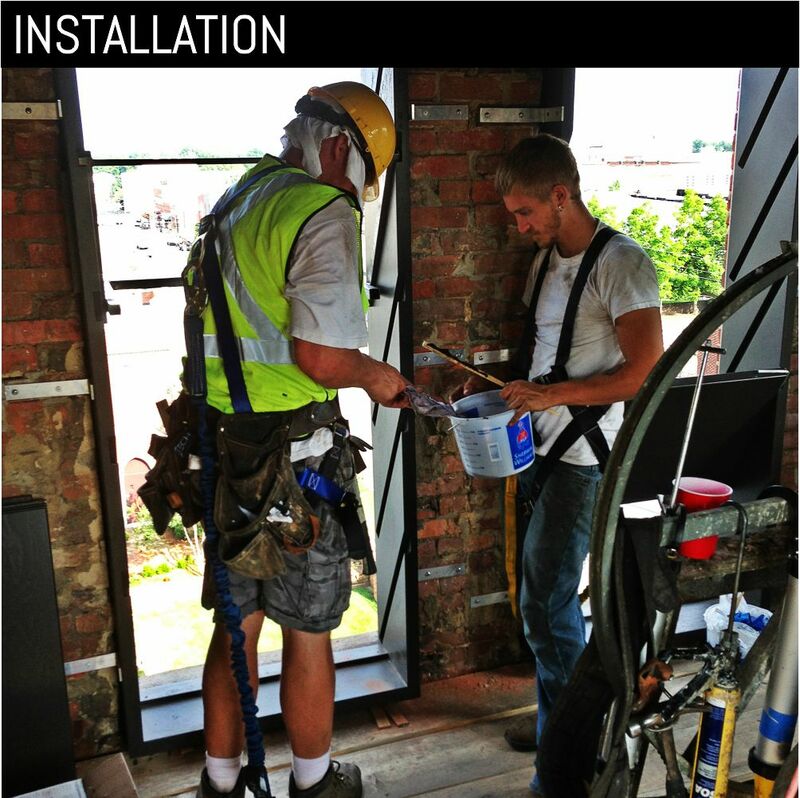 One of the first problems encountered with the job was access. 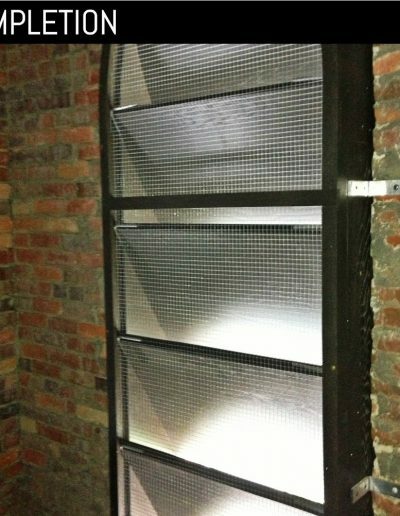 The louvered shutters were all around 9 feet tall and were extremely heavy. 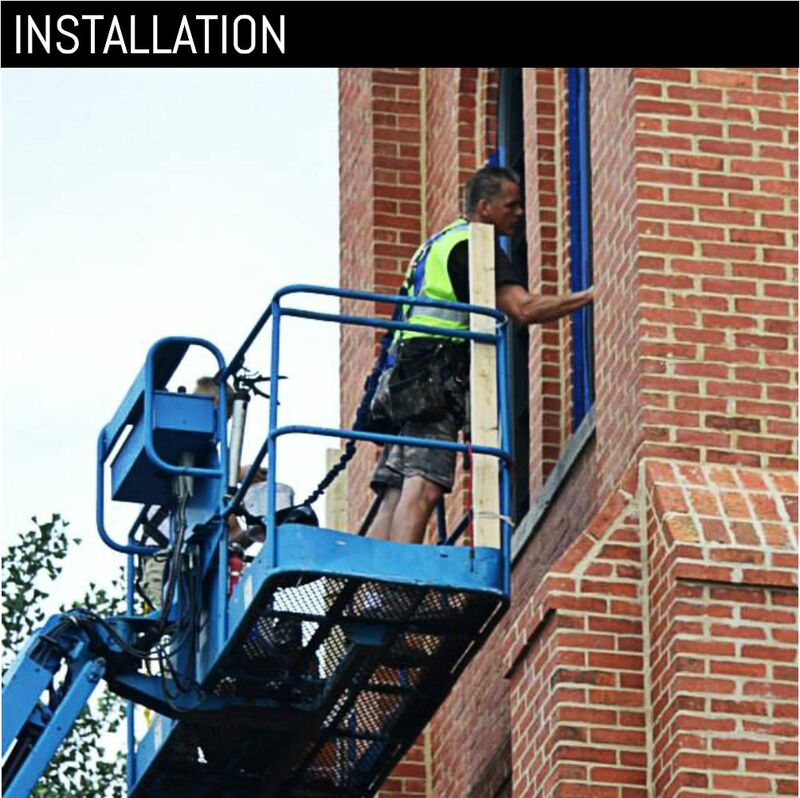 So the replacement shutters would require tremendous effort getting them to the top of the bell tower. 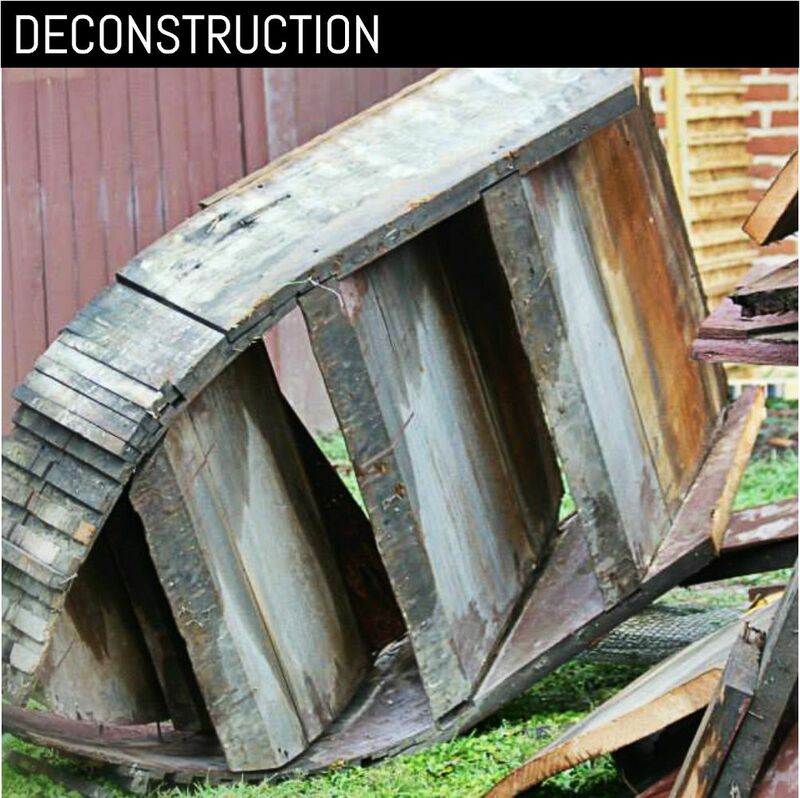 This process was complicated by a couple of serious obstacles. 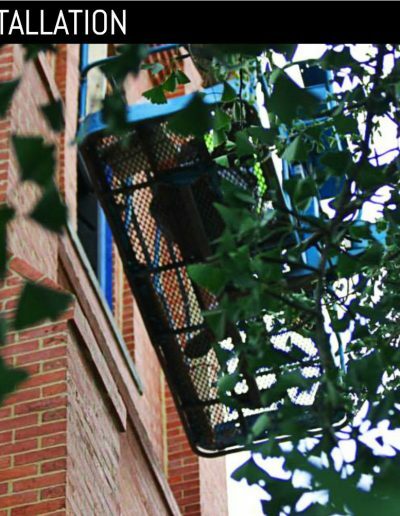 The ability to get a scissor lift to the louvers, which were very high in the air, was limited to just one side of the bell tower. 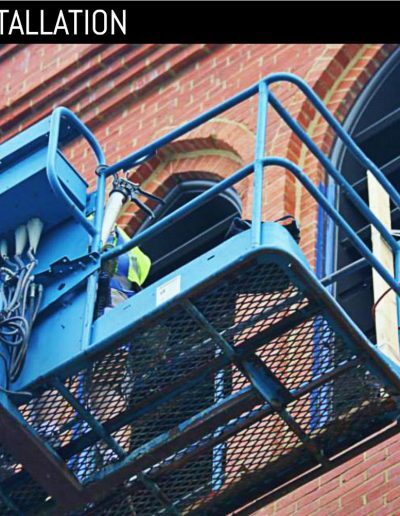 This limited access meant that taking the shutters up on the scissor lift and doing a standard installation from the outside was out of the question. 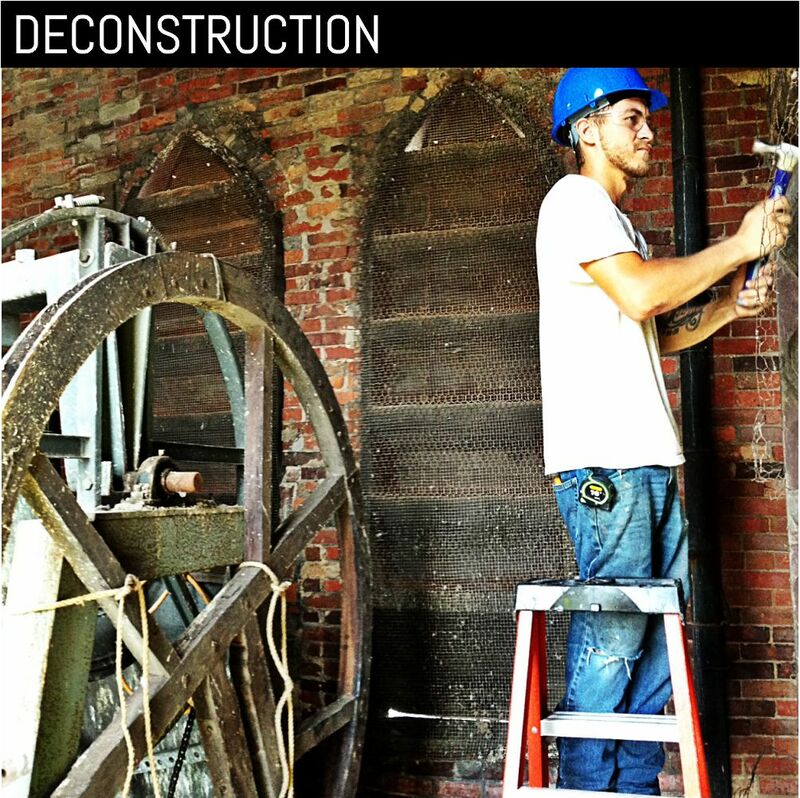 Furthering the complexity and making the situation more delicate was a historic tree on the property that was situated next to the bell tower. 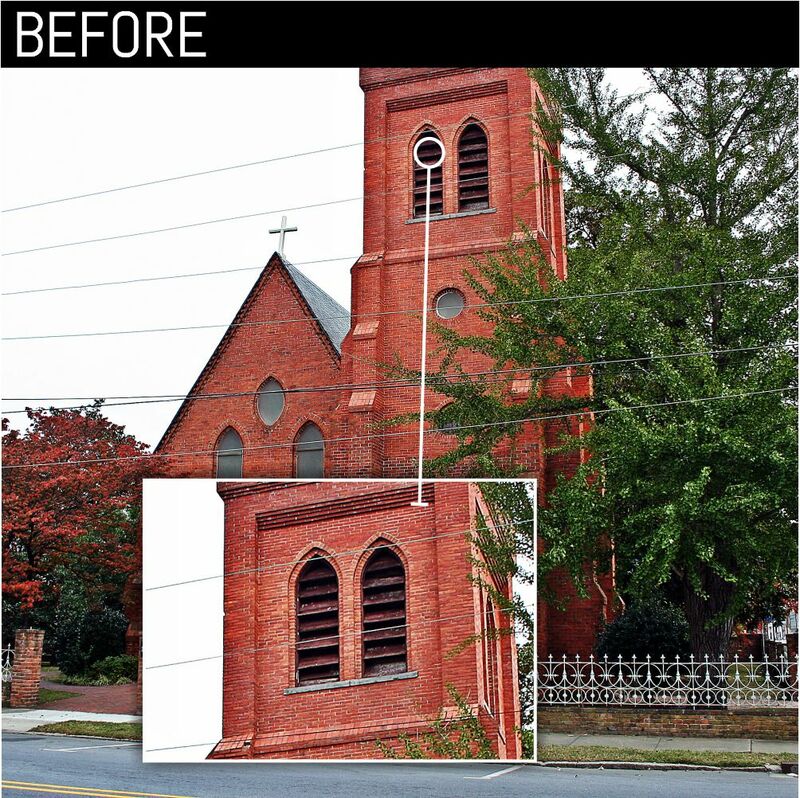 The tree and the church itself were both on the historic registry so great care had to be exercised at all time during this historic shutter replacement. Another complication was access through the interior. Due to the age of the bell tower, the passageway to reach the top from the inside was tight to say the least. 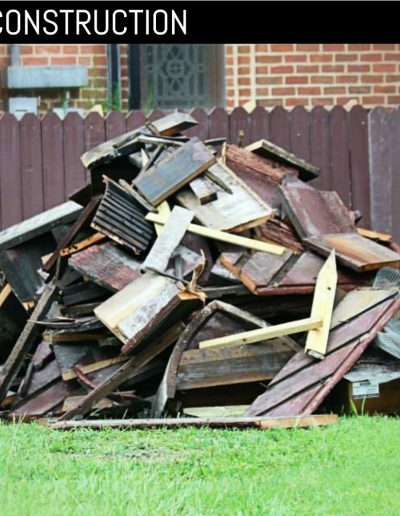 Transporting of material from the inside was an impossibility. 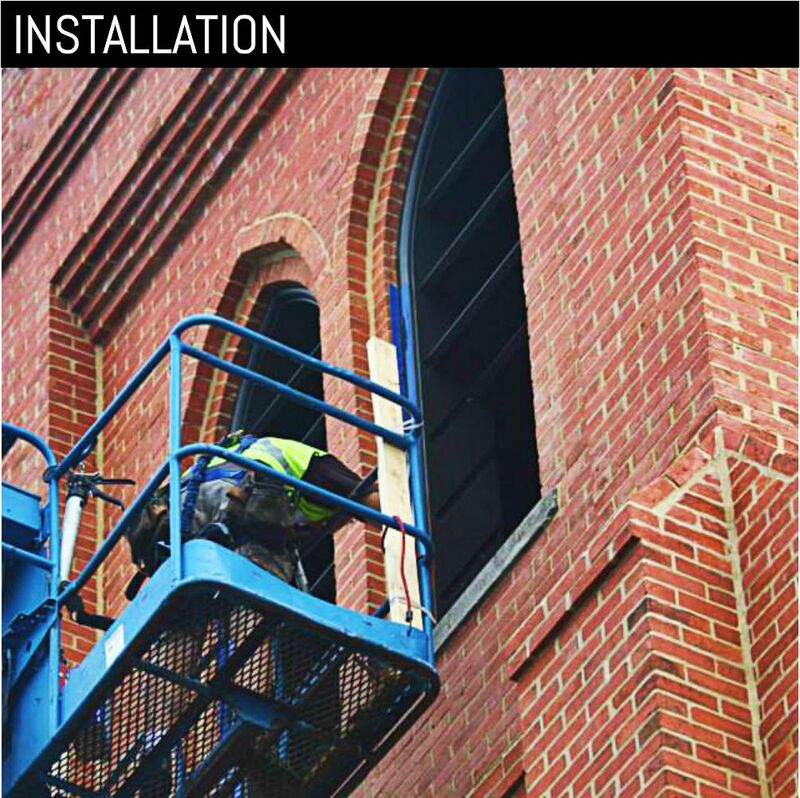 The impossibility of carrying the new, louvered shutters to the top from the inside and exterior access limited to only one side of the bell tower was going to require creative solutions. 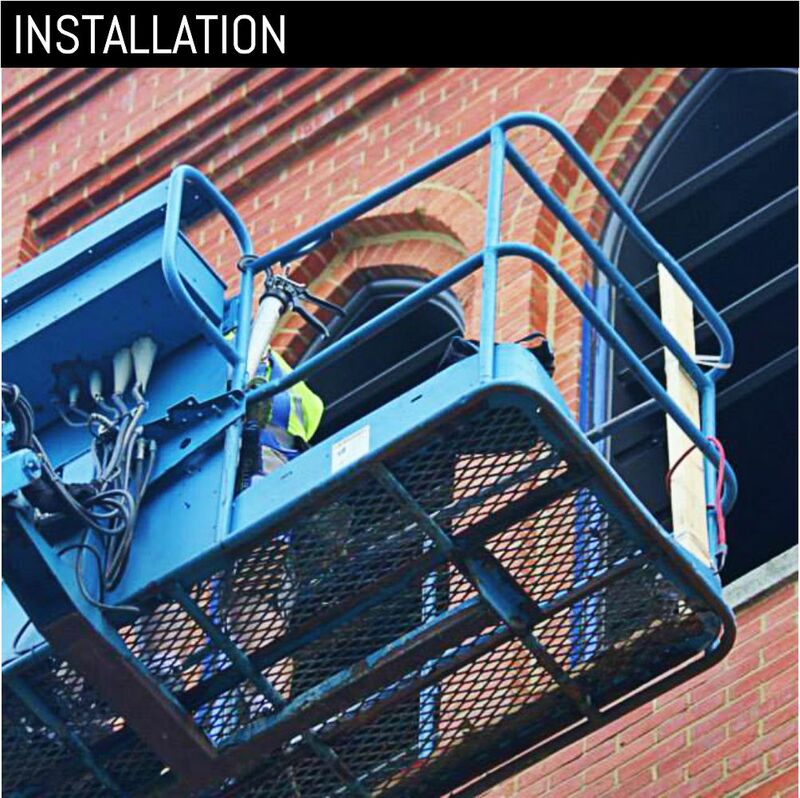 The creative solution that we developed for this historic shutter replacement was a louvered shutter with removable louvers that could be disassembled and reassembled onsite! 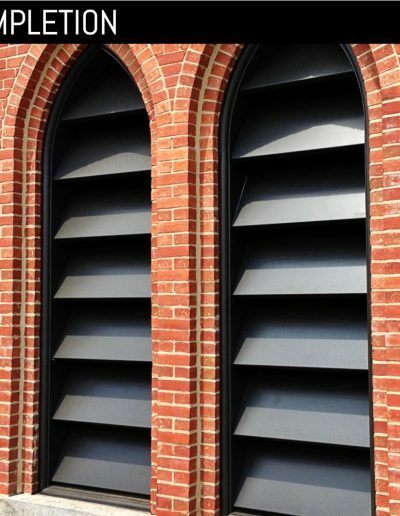 This would mean that the louvered shutters could be passed through one of the windows and installed from the inside, which is unheard of for exterior shutter installation. 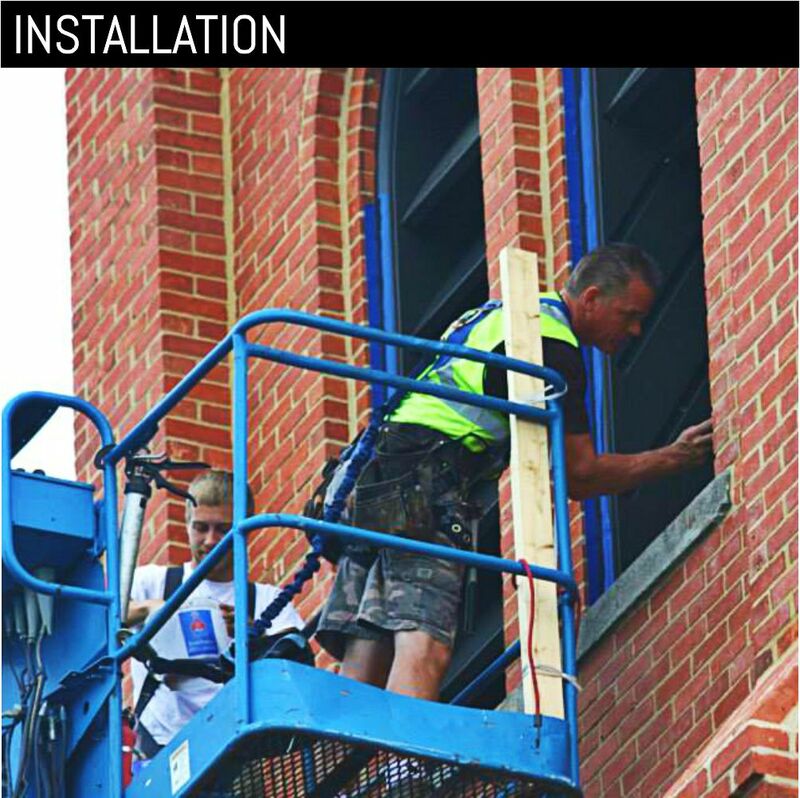 After removal of the old, louvered shutters from the bell tower, we used a scissor lift as a freight elevator to transport the new and innovative shutter sets through one of the open windows. 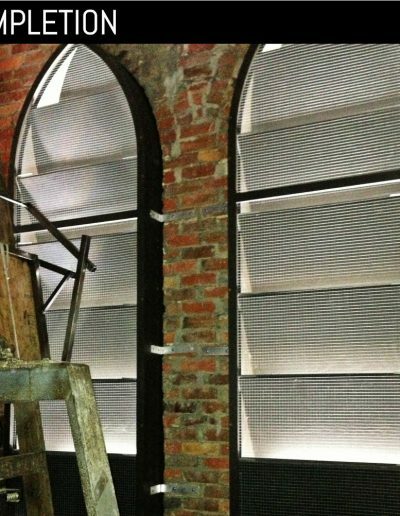 Each set consisted of a White Oak frame, White Oak louvers and aluminum pieces for mounting the shutter frames to the building. 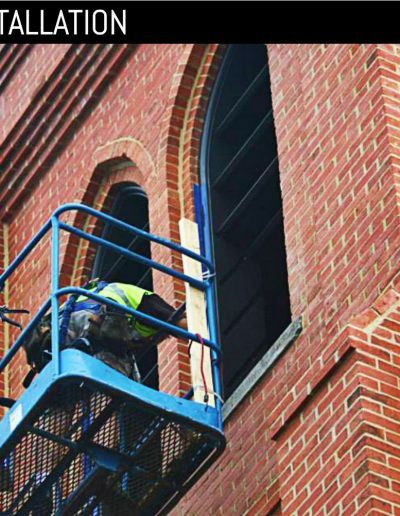 Once the frames where placed and caulked, the louver blades were slid into place and then the metal casing was added to adhere the shutters to the brick. 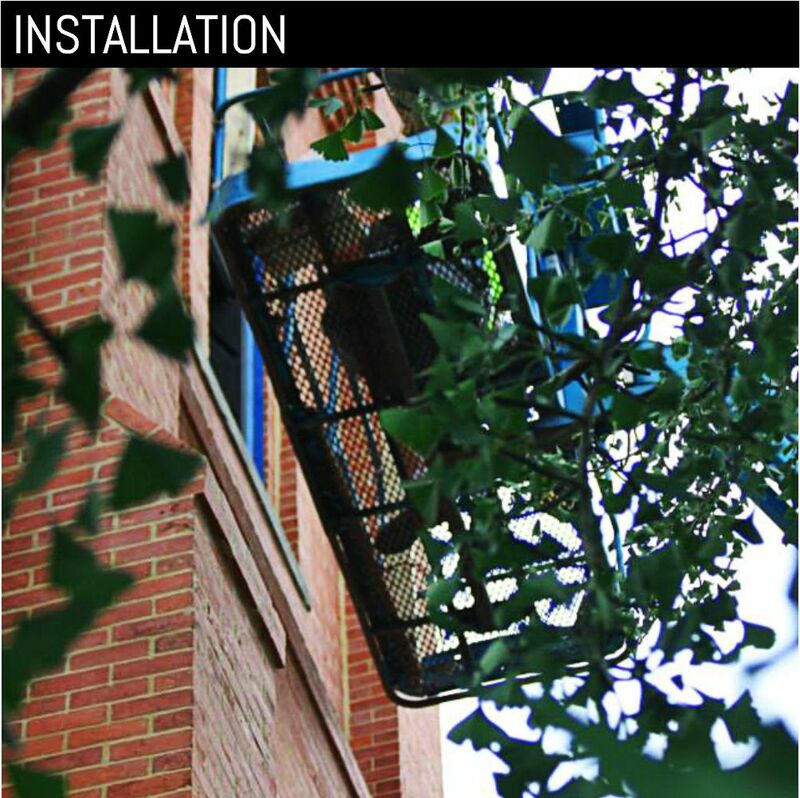 A wire mesh was added to the back of the louvered shutters to keep birds from nesting inside the bell tower. 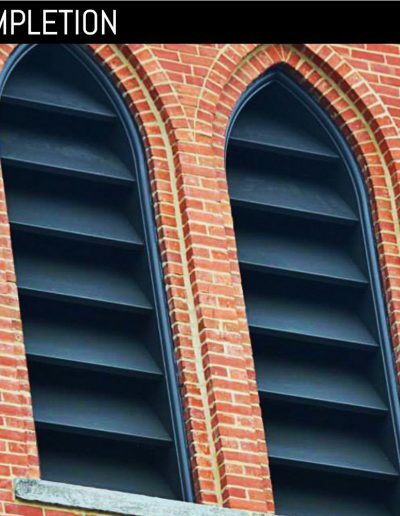 The louvered shutters were made from a White Oak in order to preserve historical accuracy because it was a common wood used in the area, at the time. 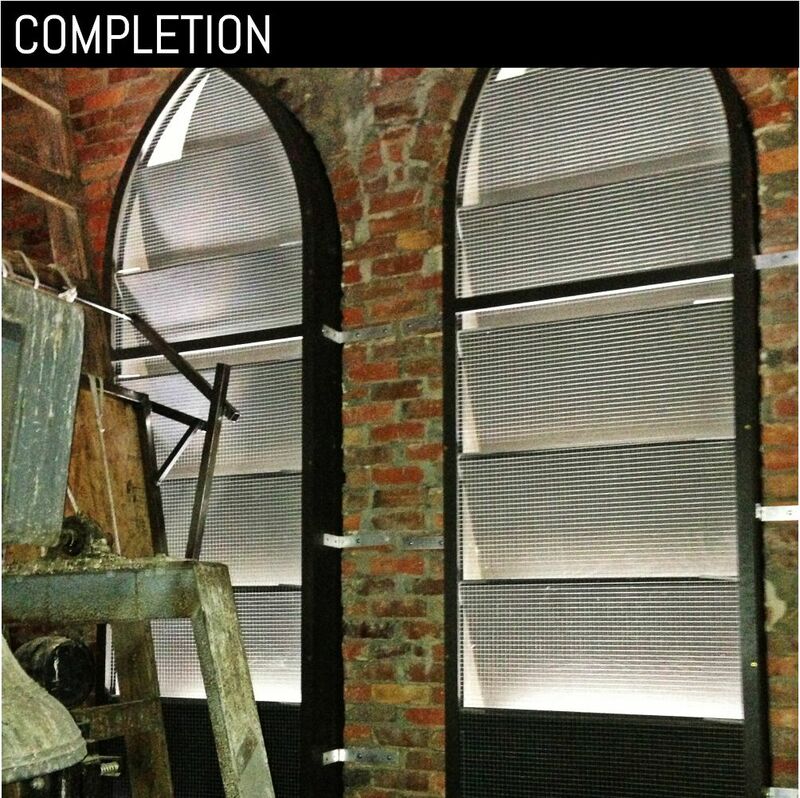 The louvered shutters stood at an amazing nine feet and each removable louver blade was as big as a café table! 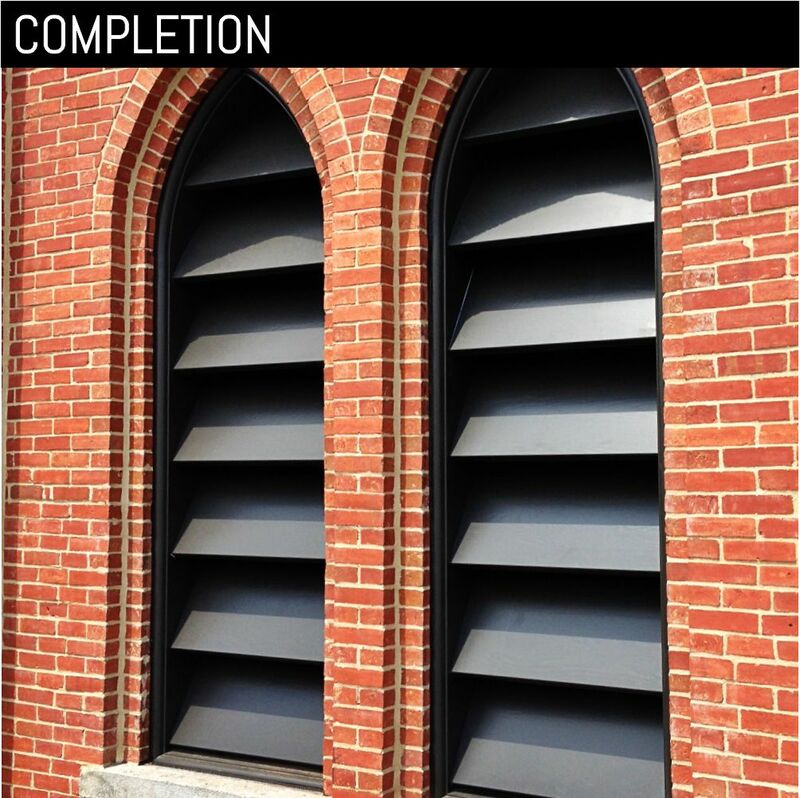 The louvered shutters were painted a dark bronze to match the original shutters. 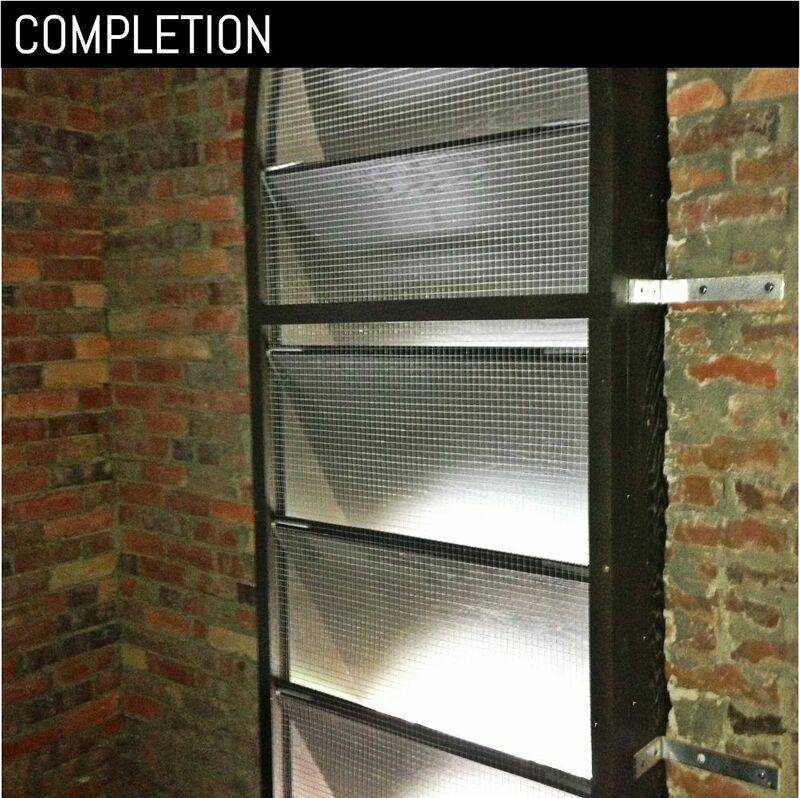 One of the other benefits of the new louvered shutters was the fact that they were easily serviceable. 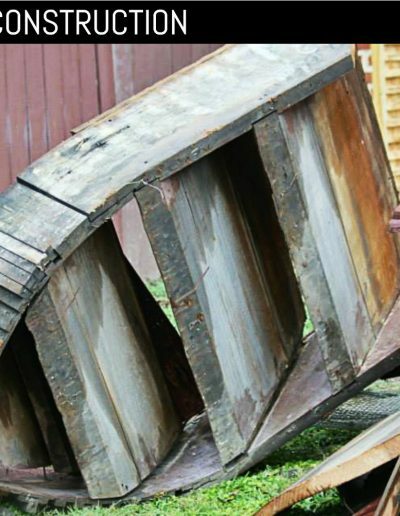 The fact that the blades were removable meant that the shutters could easily be repainted with little effort. This was done so that decades in the future these shutters will still be there. 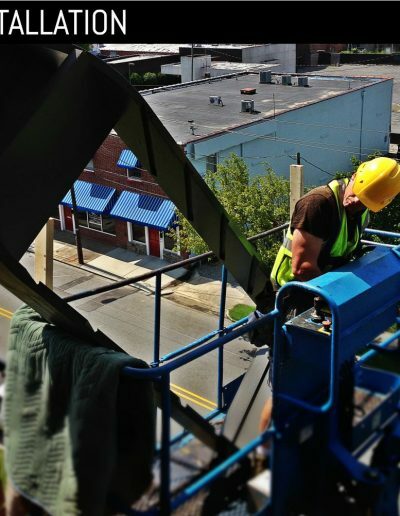 Do You Have A Specialty Project Need? 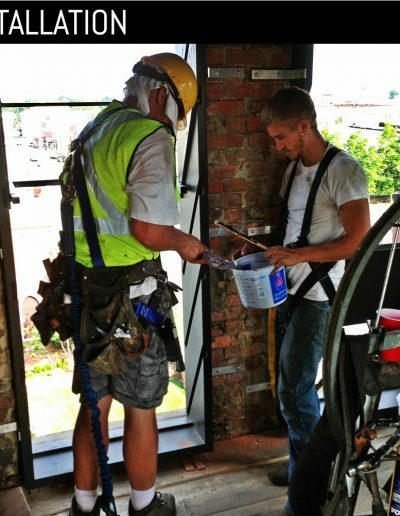 We are able to help you complete any project with just about any need you have. It doesn’t have to just be shutter related. 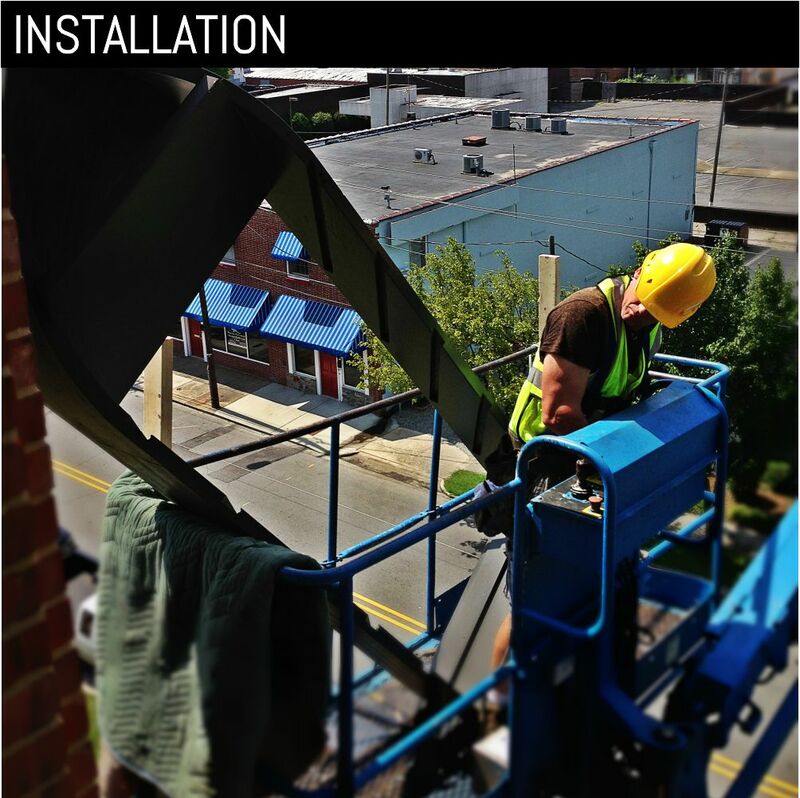 We have an extensive portfolio of installations, displays, and lots of other projects that we have completed for companies all across the world.